Don't worry, you won't miss out on anything. Everything below is part of the tour as well. Looking for a specific page? Below is a direct shortcut to all our wiki-pages. Doesn't rubber come from trees? 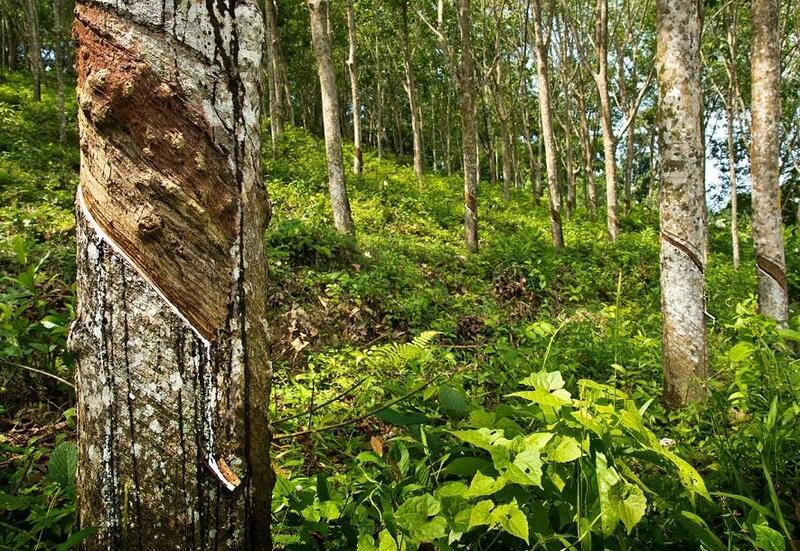 Let your eyes (and mouse) wander to these trees to discover our ideas on how to help the environment and change the future of rubber production. Take a look at our short project description below. The growing demand for natural rubber causes deforestation of the rainforest and occupation of arable lands, due to the establishment of new plantations. If producing rubber by bacteria succeeds, production of natural rubber will not be limited to the regions where the rubber tree can grow. Rather, rubber can be produced even in barren lands. 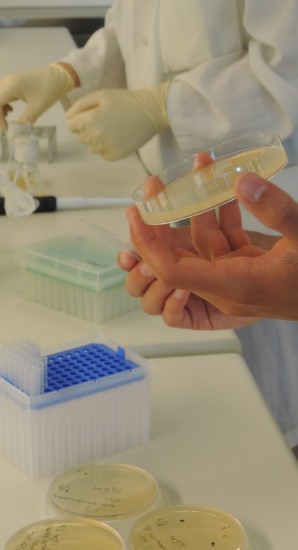 Our project aims to enable a common bacteria to produce natural rubber while grown under controlled conditions. Natural rubber is composed of molecules consisting of the substance IPP linked together like a chain. The common bacteria that we use (E. coli) already possesses the ability to produce the IPP, but it lacks the enzyme to connect the IPP links together into a chain. We introduced the enzyme that the rubber tree has for connecting the links into the bacteria. Furthermore, we introduced genes that allow the bacteria further production of the IPP links. No, rubber is made in the lab. If you wish to see how, click here to start the interactive tour. Just days before the deadline of iGEM 2013, we got the peaks that our entire summer built towards: Two small bumps on the NMR indicating the presence of bacterially produced rubber in our strain of E. coli. With a mad scramble to the finish line, our initial indication was reinforced. Click anywhere along this text to start the interactive tour, which will guide you along the path to rubber. Want more? Go to iGEM.org! If you want to learn more about Synthetic Biology you should visit iGEM's homepage, which contains loads on the subject. You can even visit other teams' wikis and take a look at what they accomplished. Or maybe join a team yourself? Take a quick glance at our project or dig deeper to get a complete walkthrough of the wiki. Or do something in-between, the choice is yours.